This is the 3rd year that we will be hosting at this event and it is a fantastic day out! 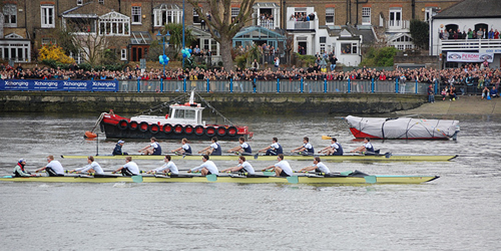 The Oxford/Cambridge Boat Race is steeped in tradition, taking place annually since 1829, as well as fierce rivalry between the 2 universities. Each year’s race attracts a crowd of around 250 000 people, and a BBC audience of over 6 million! The atmosphere is one of fun and relaxation as the event swarms with people, all of whom are out to have a great time soaking up the sun, enjoying the array of foods and drinks available, socializing and OF COURSE – people watching! This entry was posted in Events, Walk and tagged Oxford/Cambridge Boat Race, Putney Bridge on 16 February, 2012 by adminfw.